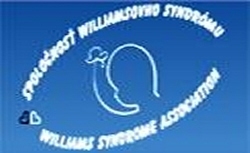 This year the Hungarian Williams Syndrome Association (HWSA) is organising its traditional family camp in cooperation with the Slovakian, the Czech and the Polish Association funded by the International Visegrad Fund. In part of the project HWSA launches a photo contest. The aim of the contest is to collect a photo album from pictures with good quality witch document and present the programs, the results and the importance of collaboration. From the best photos we open an exhibition at Autumn of 2013 probably at Hungarian Agriculture Museum, IX. District Culture House and so on. If it’s needed many more exhibition can be organised. Keep contact with Beata Boncz. One award can be giving in each category with certificate and gift parcel. The award ceremony will be organised at the exhibition opening. All rights reserved for HWSA to decide about extra awards according to their possibilities. The suitable photos will be uploaded at HWSA facebook profile at „Fotópályázat 2013” album and you can vote with „liking”. No age or other limit! If you miss the deadline, we can’t upload your photos unfortunately.